MOLESKINE Cat Drawing Collection – back in 2011, Italian notebook maker MOLESKINE launched CAT JOURNAL which is designed for the cat owner. It helps record and recall memories, thoughts, and notes of the loves of our lives aka cats with this simple, yet stylish notebook. MOLESKINE have a lot to offer for our imagination to take its form and let it realize on crisp ivory papers. The Cat Journal cover features silhouettes of different cat breeds and includes 202 adhesive labels for personalizing the journal. 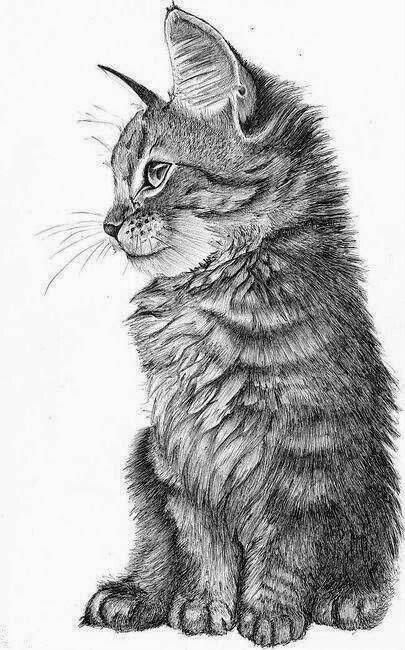 The journal begins with a list of long and short hair cat breeds to help the user find their new best friend. A table of tail talk helps the user understand how cats use their tail to communicate. 3 bookmark ribbons make it easy to keep track of activity in multiple sections. The Moleskine Passions Collection has expanded to 19 titles now: Wedding, Dessert, Travel, Restaurant, Recipes, Wine, Book, Beer, Chocolate, Art, Home Life, Film, Music, Wellness, Style, Gardening, Dog, Cat, and Baby. All 19 journals in the Moleskine Passions Collection are specifically designed as a personal archive for Moleskine lovers to fill with their notes, stories, and feelings. These 19 journal titles pretty much sum up life’s essentials, don’t you think so? The Original</> black notebooks were distributed in Paris during the 19th-20th centuries, handmade by small French bookbinders who supplied the local stationery shops. Around the turn of the 20th century, some notable users of similar black notebooks include Oscar Wilde, Vincent van Gogh, Pablo Picasso, Henri Matisse, Ernest Hemingway and Bruce Chatwin. In 1995, Maria Sebregondi read Bruce Chatwin’s The Songlines and was inspired to create a new notebook with the same design. The name itself, “Moleskine”, is a nickname that Chatwin uses in The Songlines. In this book, Chatwin tells the story of his original notebook supplier, a Paris stationer who in 1986 informed him that the last notebook manufacturer, a small family-run firm in Tours, had discontinued production after the owner’s death. Chatwin bemoaned and said Le vrai Moleskine n’est plus ( The real Moleskine is no more ). With the Art Plus Collection, there are 25 specially designed notebooks to choose from. Varying according to paper weight and absorbency as well as dimensions, cover material, and paper layout, read on to find the solution to your creative need. For dry media, the Sketchbook and Japanese Album paper is most suitable, pigmented directly in the pulp to guarantee color stability and resistance. If you work with wetter materials, the cotton contained in the cold-pressed Watercolour Album paper ensures absorbency on both sides of the page. If you often uploading your works on Instagram, Sketch Album with 88 detachable pages (72 in pocket size) is the one for you. Its squared format requires no cropping and makes the perfect Instagram-ready works. The Black Page Album with its heavy paperweight is made to house collages and photographs. They have the Travel Journal which have 5 themed sections to fill in and 5 tabbed sections to personalise. Calendars, budget and trip planner, travel information and checklists help your journey more fruitful and let you have more fun to write down what happens. Travel and their little black notes go together really well as you feel like writing more on the go. New landscape, new people and new experiences… You can scribble down all of them by your hand engrave the feelings in yourself. This guidebook lets you organize things you want to keep for future reference or for your records such as the names and addresses of restaurants, shops, friends, hotels, or tourist sites ideal for both visitors and city dwellers alike. The Key Map summarizes the overall layout of the city, including large-scale maps of the city centre, an alphabetical street index, and map of the metro system. Up to 76 blank pages gives you all the space you need to write, jot down useful information, and record your thoughts, stories, and memories. This is a tool which make your travel not just convenient, but memorable as well with your own sketchings and writings. Moleskine’s little black notebooks don’t need elaborate marketing strategy at this stage since it already has established own image of sophistication , legendary which own to famous artists like we mentioned earlier. Its iconic design is simple enough for everybody to recognize and to use. The sturdy, good quality notebook with blank pages requires you to come up with new thinking and new expressions. This little black notebook is coveted and beloved by architects and designers, artists and writers, travelers and whoever needs a platform to put her ideas onto papers with sophistication and pleasure of writing. We buy into the image projected by the product and that would spark creativity and imagination to no end.